Massage therapy affords you the physical benefit of a more relaxed body and the psychological benefit of a more balanced perspective as you face the demands of your life. While a periodic massage will enhance your well being, the real benefit of massage comes from multiple therapy sessions tailored to your needs and wellness goals. Relaxation massage is a Swedish massage with no more than moderate pressure, with only hands on work. 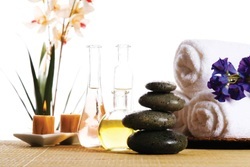 Hot stones, cupping will not be included into this massage unless services are purchased. Therapeutic/medical massage is an intuitive Swedish massage that will differ per session based on the therapists assessment of the client at the time of each visit. This massage includes the level of pressure the therapist feels necessary to achieve wellness goals (though you may always request less pressure), along with tools, balms and advanced techniques such as deep tissue. Due to this we will no longer be offering deep tissue as an add on, any requests for deep tissue will be considered an upgrade from a relaxation massage to a therapeutic massage and will be charged accordingly. Mother Massage (pre and post natal)- Studies indicate that massage therapy performed during pregnancy can reduce anxiety, decrease symptoms of depression, relieve muscle aches and joint pains, and improve labor outcomes and newborn health. Prenatal massage is offered after the first trimester. Post natal is offered to new mothers up to 5 months after birth. Add on's: Modalities that can be added on to any session listed above. Most of these service can be added on your arrival of your appointment if you are unsure at the time you book your appointment. Hot stones: Experience a relaxing massage combined with soothing heat therapy. Smooth stones are heated and incorporated into the massage. The perfect treatment to loosen tight muscles, relieve stress and ease tension. $15.00 added for this service. Aromatherapy Cocoon- Relax and restore. This therapy can be added to the end of another massage service. this service add's 20 minutes to a normal session. $20.00 added for this service. Salt Glow Foot scrub: Finish your massage with a warm exfoliation of dead skin cells as you feet absorb vital fatty acids and nutrients from the salts and oils. Cupping Massage: By creating suction and vacuum pressure, this type of massage is used to soften tight muscles and tone attachments, loosen adhesions and lift connective tissue, bring hydration and blood flow to body tissues, move deep inflammation to the skin surface for release, and drain excess fluids and toxins by opening lymphatic pathways. It can also improve the appearance of skin, returning the elasticity and tone. Unlike traditional cupping, the cups are not left in stationary locations but are instead, glided over the muscles. Cupping is an excellent choice for clients who need deep tissue work done but do not want to be sore the following day or be as bruised. $20.00 added for this service. Salt Glow Back love: While many people first thoughts when coming for a massage is their back, they rarely consider indulging it the way they do other parts of their body. Enjoy hot towels, a salt glow exfoliation of the dead skin on your back. followed by hot stones used only on the back. $25.00 added for this service. 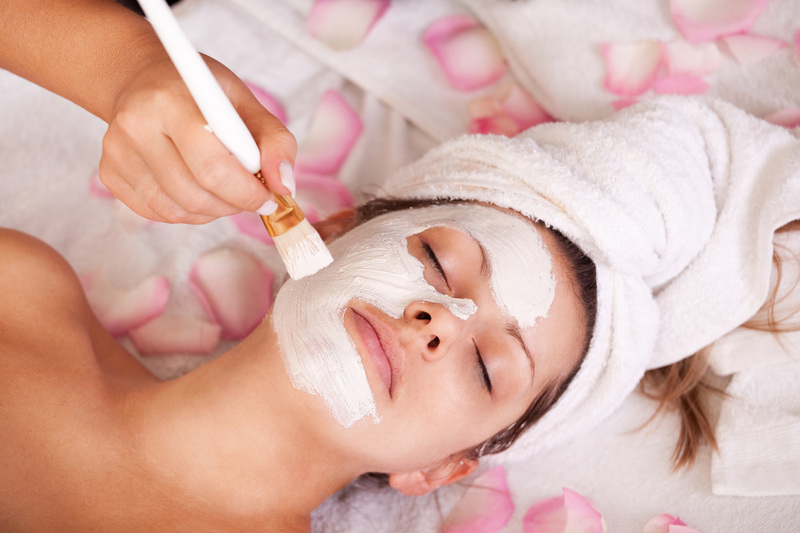 European mini facial: A deep cleansing to improve the health of the facial skin, followed by hydrating oils or lotions. Cup and Stone: With the use of both hot stones and cupping your muscles will relax with the help of these gentle healing techniques. $30.00 added for this service.